The Journey of their Lives! Janet Wright and Nataly Wright signing books. A. E. Wright posing with local high school educators who brought their students on a Literacy Field Trip. “I have come to believe that a great teacher is a great artist and that there are as few as there are any other great artist. Teaching might even be the greatest of the arts since the medium is the human mind and spirit.” John Steinbeck A.E.Wright with local high school teachers supporting literacy and exposing their students to the world of literature. 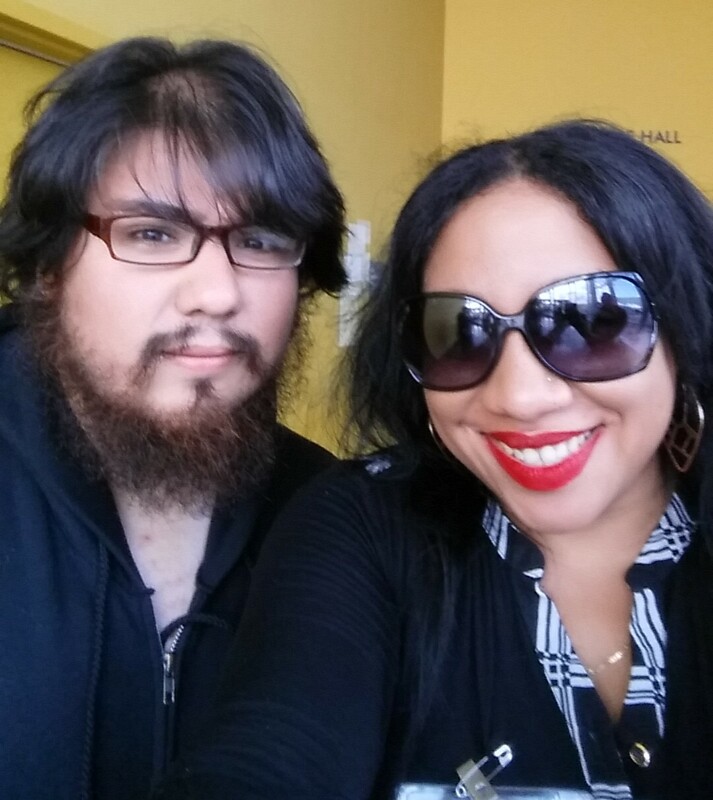 Local high school students and their amazing English teachers who brought them on a Literacy field trip to meet authors, buy books and see the college. Posing with A. E. Wright, while supporting The Audacious Little Princesses. On August 12, 2014 A.E. Wright visited Monrovia Mom’s Club and had meet the author discussion with the mother’s and story time with the children. A.E. Wright stated ” I love getting the opportunity to read our book ‘The Audacious Little Princesses’ to children as well as discussing with adults the concept of image and multiculturalism in our society.” The Princesses were received very well and our book inspired the kids and the author of Macaroni Kid blog to rethink what and who a princess is and the many different cultures a princess can represent. 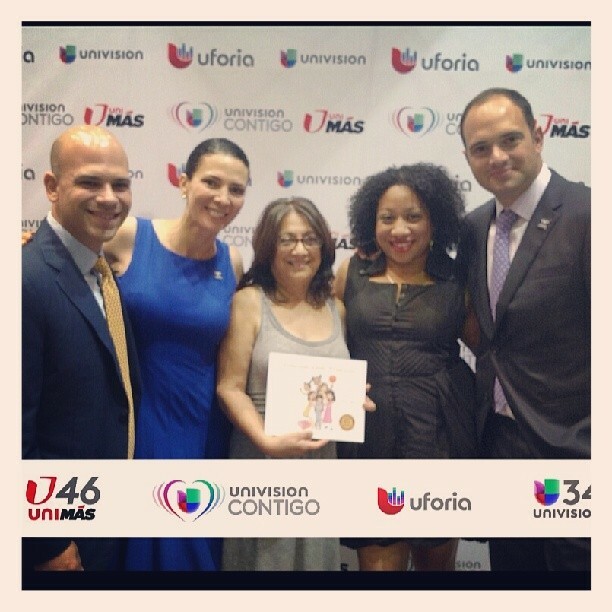 Gabriela Tessier and other Univision News anchors/reporters with authors Janet Breceda Wright A.E. 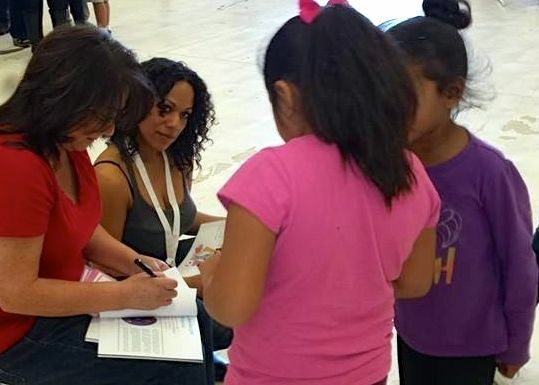 Wright on July 19, 2014 at NCLR: National Council of La Raza supporting Latino literacy and The Audacious Little Princesses. 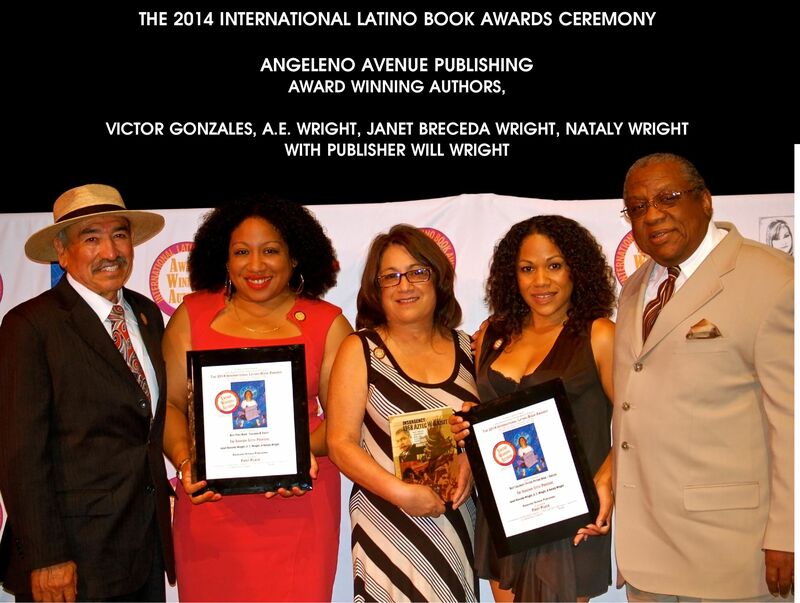 Congratulations to the entire team at Angeleno Avenue Publishing, for having two books nominated in multiple categories. Both books were also selected for their potential to become feature films. These are great accomplishments! We Won!!! The Audacious Little Princesses took home first place honors for both categories we were nominated in. The book won first place in the categories: Best First Book – Children & Youth and The Mariposa Awards. 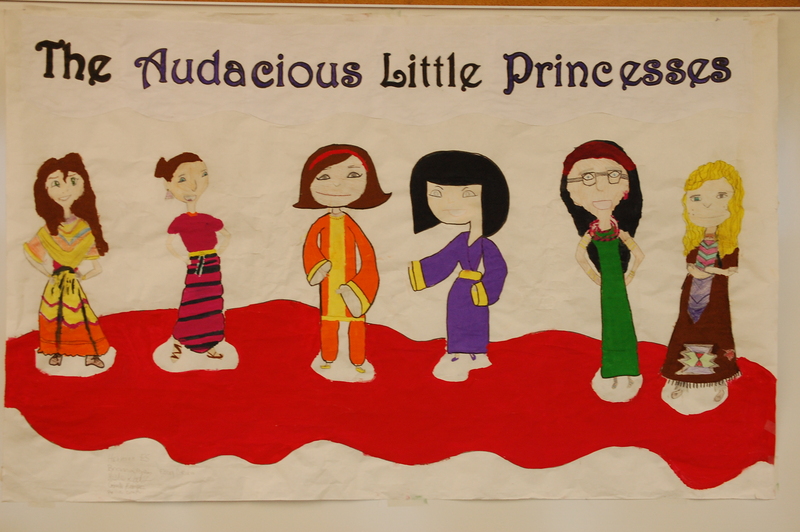 A special shout out to Mrs. Cox’s fifth grade class at Harrison Elementary School in Pomona, CA for making this incredible poster of our characters from The Audacious Little Princesses that was hung in the room we presented in for The University of La Verne Children’s Book Festival. We loved it and think it is AUDACIOUS!! Thank you girls! 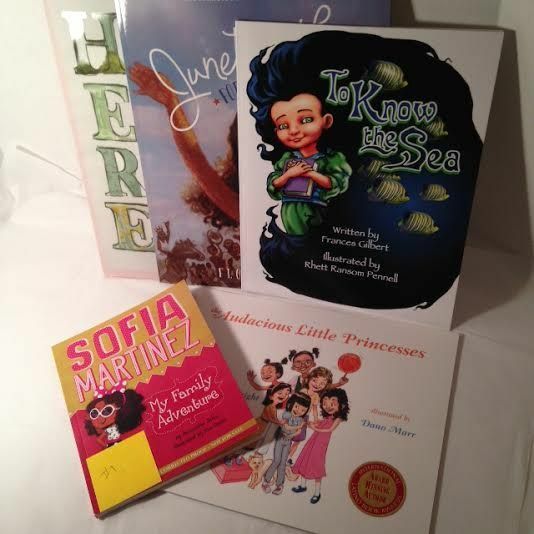 The authors of “The Audacious Little Princesses” will be at Latino Book & Family Festival in the Inland Empire this Saturday May 3rd. The Audacious Little Princesses booth will be located in the Santos Manuel Student Union. The authors will be at the booth from 10 am to 5 pm autographing purchased books, giving away gifts and speaking to all the little princesses. 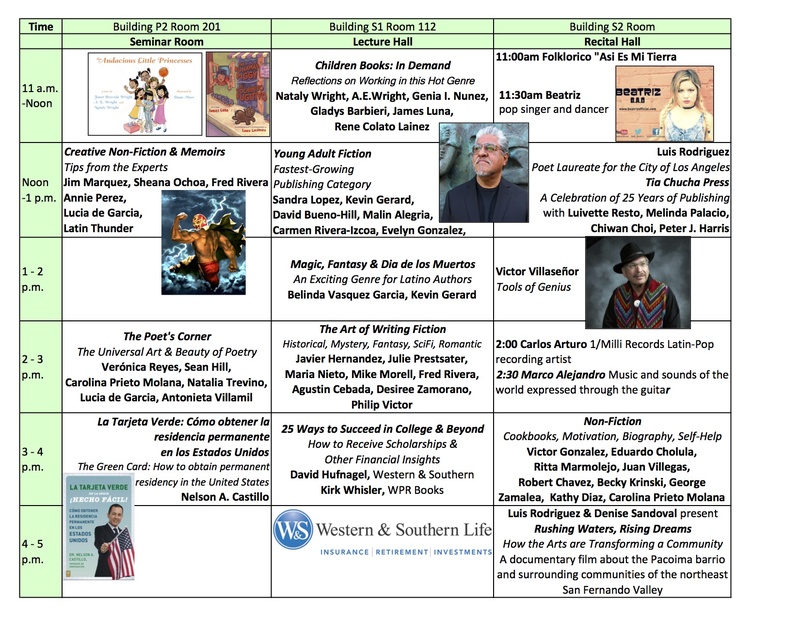 A. E. Wright will be speaking on the Books for Children & Young Adults Panel in the Books for Young Readers Room (rm. 210-211) from 11 am to 12 noon. 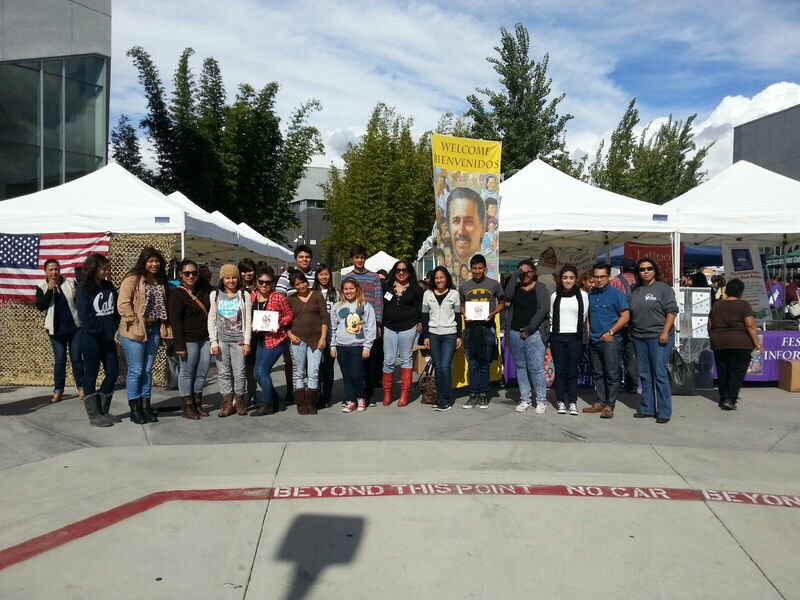 The festival will be at California State University San Bernadino in the Santos Manuel Student Union. 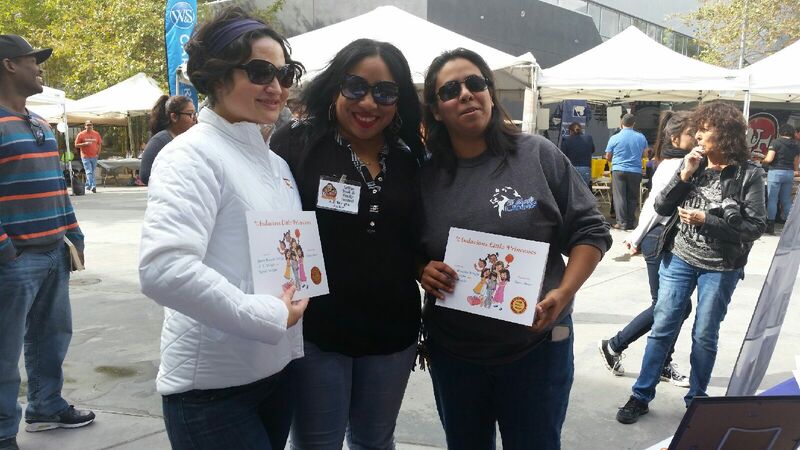 Nataly Wright promoting her book ”The Audacious Little Princesses” and The Latino Literacy Now booth at The Los Angeles Times Festival of Books. She brought in a crowd after being on stage for less than a minute. 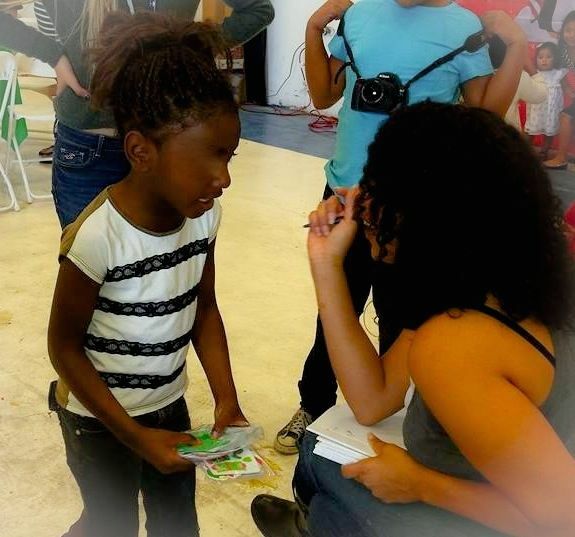 A sweet little princess was crying and would not stop until she met Nataly and got to shake her hand: Rock Stars & Princesses!!! 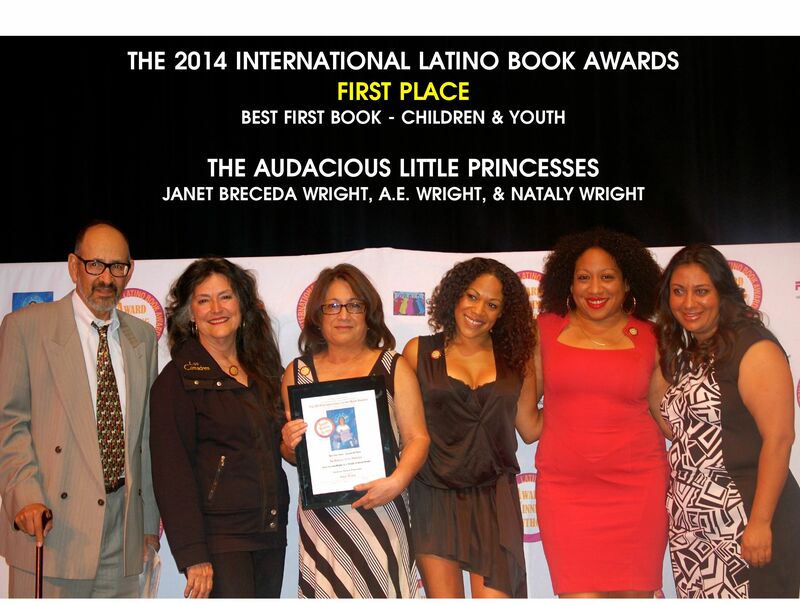 The Audacious Little Princesses has been nominated for the International Latino Book Award for 2014. Sponsored by Latino Literacy Now, our book was nominated in 2 categories: Best Children’s Fiction Book-English and Best First Book-Children & Youth. We immediately start participation in the Award Winning Author’s Book Tour. 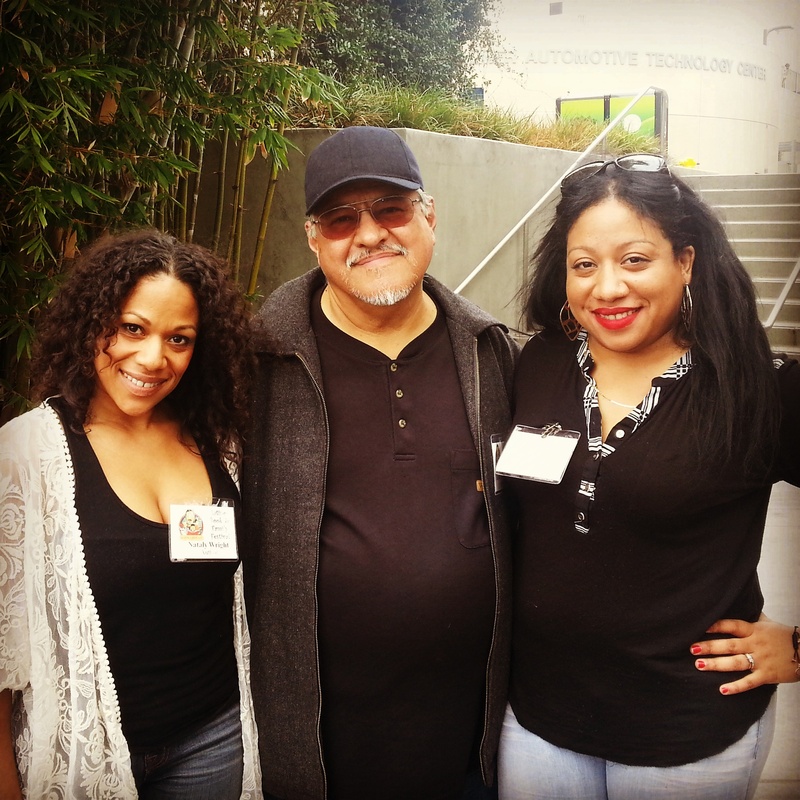 Our first stop was the California Association of Bilingual Educators (CABE) Conference held at the Anaheim Marriott on Thursday, April 3rd. 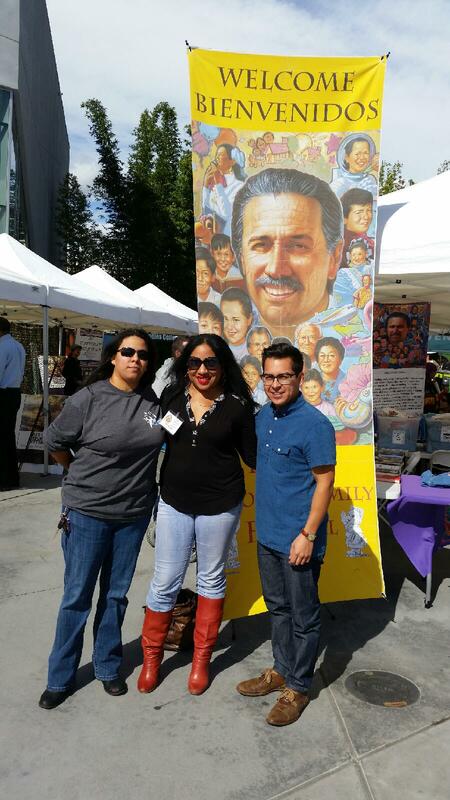 The next appearance is the Los Angeles Times Festival of Books at USC on Saturday April 12th and 13th, and the Inland Empire Latino Book and Family Festival on Saturday May 3rd, at Cal State University, San Bernardino. The awards ceremony will be held in Las Vegas on Saturday, June 28th. Breaking News! The Audacious Little Princesses have an online store where you can purchase the book and other princess gear. You can still purchase the book from Amazon.com. YOU CAN BUY THE PRINCESSES HERE!